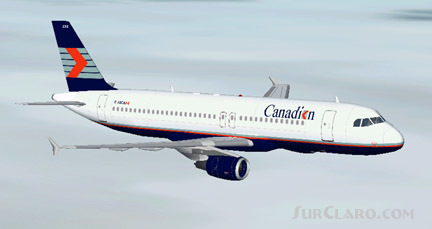 Fs2002 Airbus A320-200 Canadian Airlines Two Sets Of Textures For Mike Stones Lockheed Airbus A320-200 In The Colours Of Canadian Airlines. One Set In The Old Colours, The Other In The proud Wings Colours. Can Also Be Used In Fs2004. Requires Mikes Original File Sa320200. zip. Textures By Geoff Chambers.